Rescue One Financial requires at least $10,000 in debt and charges 7% of the total debt per year. Younger company in the industry: Though not necessarily a negative, Rescue One Financial is one of the younger companies in the debt settlement industry. Mixed customer reviews: Customers have expressed appreciation for the free debt consultation offered by Rescue One, and the integrity and professionalism of their customer service representatives. However, some customers complain about the marketing tactics trying to pull in new clients. Industry accreditations: Rescue One financial has an AFCC accreditations and has recently added the important IAPDA accreditation, showing a commitment to good business practices. Unusual fee structure for the industry: They charge 7% of total debt per year. In addition to this being a high price, it’s also a different price structure than other debt settlement companies. Almost every other company charges a total percentage fee, not an annual percentage fee. High Minimum Debt Requirement: Considering the relatively high minimum debt requirement of $10,000 to qualify, their service may not even be accessible to some. Our recommendation: We recommend going with a more reputable company such as Freedom Debt Relief and Pacific Debt Inc.
7 Years. They’ve been in business since 2010. They offer some debt education to those in debt or worried that they may end up there again in the future. Those who are interested in debt education should express so during the initial consultation. Overall, they could offer a lot more upfront. They offer many services including consumer loans with affordable rates, business loans, debt resolution services, debt management and debt counseling for those who want to make sure they avoid similar financial strains in the future. The minimum amount of debt that they will work with is $7,500 total. The company can only work with unsecured debt. Yes, there is a client portal. It will show you information about your loan. The debt resolution program shows you what your old balances were and what the new balances on credit card statements and other existing debt. Yes, they are AFCC and IAPDA accredited. I was solicited by this company and initially it was not at all clarified to me what exactly the company did. Even though I made it clear during first conversations that I paid double and triple minimum due on my accounts, that sometimes I paid them in full, and that I was not struggling financially and had a good savings account, I was coached into the contract by making it sound like they were simply doing a debt consolidation agreement. I cancelled in less than 24 hours, had I agreed to do what they wanted me to do it would have been a huge, very disastrous move backward. I would call this a business of vulture culture. I received Rescueone’s Advertising material in the mail that said i was Pre Selected*for up to $35,000. The * had conditions like everything. So i applied. I earn over $65,000 a year and only have debt of $15,000, which is credit card debt all around 19% interest (average). In short i was rejected,. The woman could not tell me why, even admitted that it was strange because i earn much more than the loan i was asking for. I believe this material is like applying for any other loan or credit card, Because i have debt in place its rejecting me, just as if i had found a company on my own and applied. There’s NOTHING SPECIAL to what they say in the letter. Its actually misleading or false advertising because if i was pre-Selected I would have got :something. I should have read these other reviews before I applied …MY BAD. All I have now is another Hit on my Credit score. ! When you call in, they ask for information about all of your individual debts, balances, etc. This should be your first clue that it’s a scam. A day or two later, they call back with “sorry, you don’t meet the lending criteria (what person swimming in debt ever would? ), but presto magically, we have this awesome debt relief program where we negotiate with your creditors and pay them for you. In other words, I suspect that they have never actually made a loan, to anyone, and the entire promise of a consolidation loan thing is a scam to recruit potential customers for their actual business – debt settlement. 44 people found this review helpful! 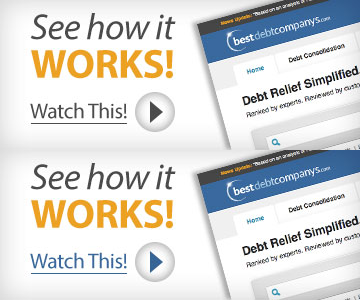 I contacted Rescue One Financial to help me with my credit card debt 2013. I was in over my head with about $36k of debt. I too noticed their website was down at one point but I was told it was due to up grades. I checked a couple weeks later and it was running just fine. One very reassuring aspect of this company is that every time I called I reached a customer service rep. that was friendly and well knowledge with my account. It is now 2015 and I’m completely debt free!!! By submitting this form, I consent to receive calls using automated technology from Rescue One Financial at the number provided and understand this is not a condition of purchase.